Enter a world where money and the Mafia go hand in hand. 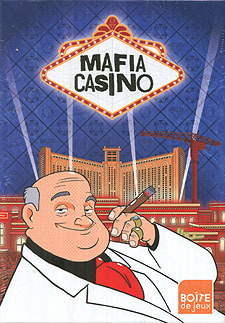 Build your Casino-Hotel and aim to become the richest. Attract prestigious clients, deal pearls and diamonds and partake in games of chance. Spying, bombings, robbing safes and extortion will help you sabotage the plans of your opponents. Be cautious though, there are no such things as "Rules" in the Mafia.